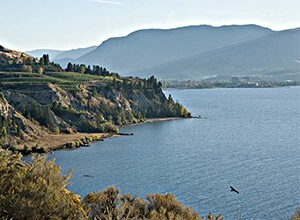 At the Penticton Trade and Convention Centre we know that no two events are exactly alike. 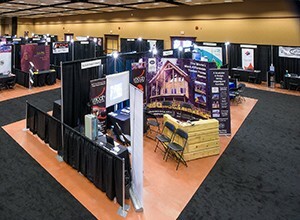 That's why we offer customizable spaces, perfect for your next convention, trade show, banquet, special event or meeting. 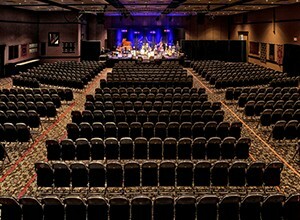 Ballrooms 1 and 2 are 28,731 sq. ft. of continuous pillar-free space with four sections and 10 different configurations. The 15,051 sq. 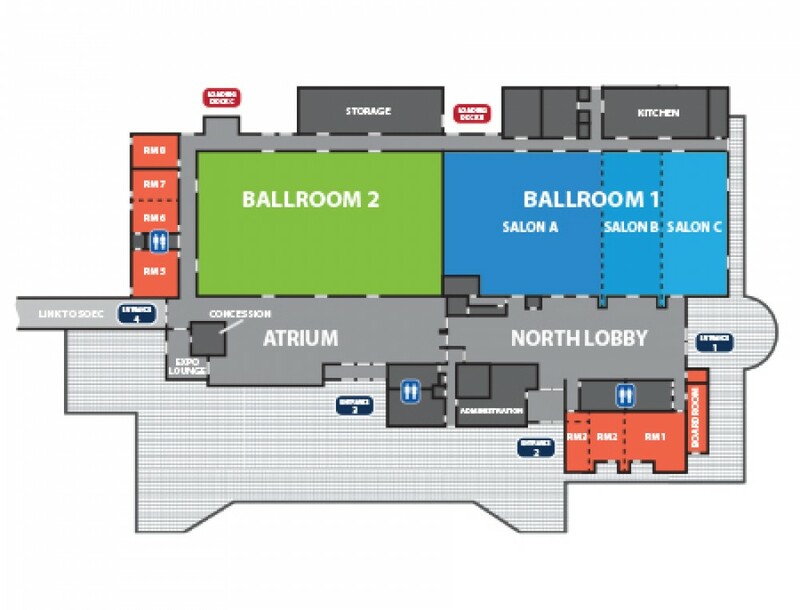 ft. Ballroom 1 configures into the smaller Salons A, B and C. Outside the ballrooms, our Atrium and North Lobby combine to create 14,280 sq. 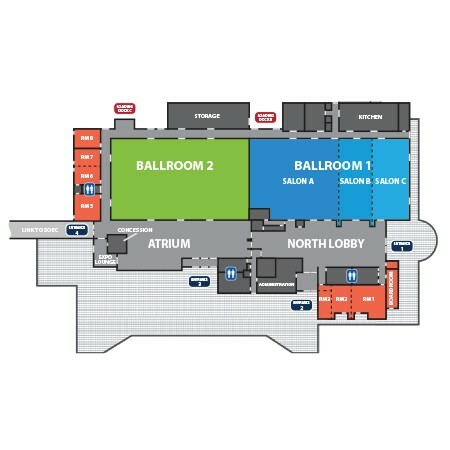 ft. of bright and open reception, registration, and pre-conference space. In total, we house eight configurable meeting rooms and an executive boardroom. There is more than 60,000 sq. 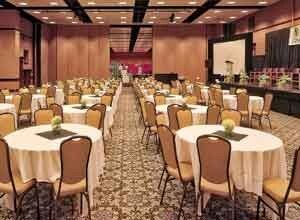 ft. of flexible meeting and convention space, along with a 2,000 sq. ft. outdoor patio, to accommodate all your needs.